March 2018 is a shifting point in the Unlimited programme – some of the Research and Development (R&D) projects awarded in 2017 are culminating, and our panels will select the next round of Emerging and R&D awards. All art starts somewhere – a word, a thought, a concept. 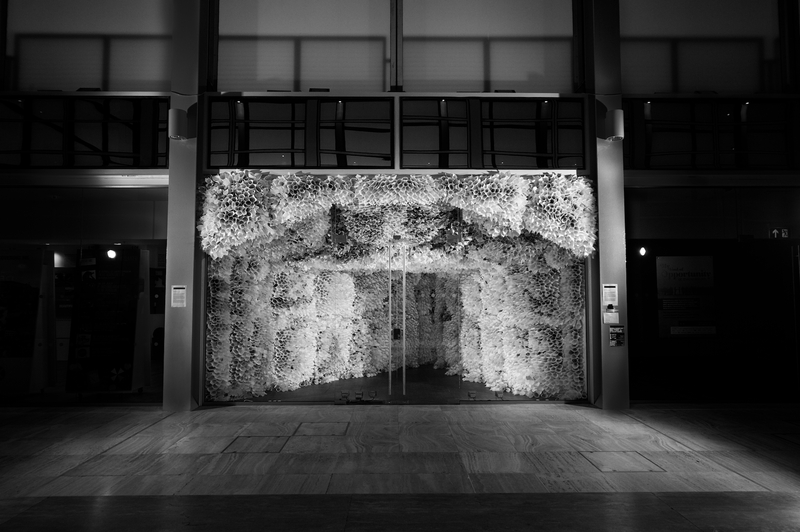 But how does it get to its finished form: installation, performance, exhibition or concert? Enter ‘Research and Development’, where trial and error is encouraged and audience feedback is critical. We’re excited to announce that we have partnered with Attenborough Arts Centre in Leicester to host a day dedicated to R&D, during which we will also announce the successful recipients of the next round of awards, on Friday 23 March 2018. Be There at the Start will be a unique opportunity to get an insight into artistic processes at various stages of development, from artists working across cultures, artforms and sectors; we intend to present work by artists including Richard Butchins, Anna Berry, Raquel Meseguer, Juliet Robson and Rinkoo Barpaga. 10am: Arrivals and breakfast. Experience installations presented in and around Attenborough Arts Centre by artists Richard Butchins, Anna Berry, Raquel Meseguer, Juliet Robson and Rinkoo Barpaga. 11-11:45am, Main Hall: Panel Discussion – Working Across Cultures. Unlimited International supports artistic collaborations across borders. What discoveries are made when working with artists in a cultural context different to the UK? What opportunities does this create and how does it influence the art made together? Speakers: Nolan Stevens, Rachel Gadsden, Richard Butchins, Yetta Elkins representing VIVA Carnival. 11:45am-12:30pm, Main Hall: Panel Discussion – Working Across Sectors. What happens when artists reach out to specialists in other fields to collaborate on projects? What new questions arise and challenges unfold? What new artistic routes do collaborations create, and how does that impact the art and the audiences? 1:30pm-2:15pm, Main Hall: Panel Discussion – Where is the Money? The current economic context is pushing many artists and their colleagues to look widely for funds – with most opportunities being highly competitive. Unlimited is a commissioning programme with a limited life-span. What other funders and fundraising possibilities exist in the sector for artists? How accessible are they? 2:30-3:30pm, George Davis Centre, Room 1.33: Lunch buffet served in George Davies Centre across the road in Room 1.33 on the first floor. 3:30-4:45pm, George Davies Centre, Room 1.34: Unlimited Connects – speedy one-to-one conversations. A drop in session offering a structured and playful approach to networking. Find out who else is here and get a chance to have a deeper conversation. 7pm, Main Hall: Performance of Unlimited Commission by Jackie Hagan, This is Not a Safe Space. Tickets should be booked separately.